This entry was posted in Astrology: challenges, ethics and practice (11 articles), Dell Horoscope " The Astro-View from Scotland" (9 articles), Jupiter in Scorpio (3 articles) and tagged Astrology, Dell Horoscope Magazine, horoscope, Jupiter, Jupiter in Scorpio, Prometheus, Zodiac. Bookmark the permalink. I shared your online page at another Astrology closed FB group, and without asking, I apologize. We’re discussing some of our personal placements that this influences. Your words do wake up many folks with wisdom. Just a few months ago, Jupiter in Scorpio transit was opposing my natal Jupiter in 12th House, Taurus. And T-Jupiter is on my DC now. Between this and Pluto coming onto my Mercury in Capricorn, 9th, lol. I have an insatiable desire to know and understand everything. It’s almost scary how compulsive this gets. But, I am handling it ok so far. I just need to remember to eat. And with humor, laugh at myself at times. Thank you again! I’ve backed away from friends that harshly judge me for the many challenges my life has held, almost as if afraid such is contagious, and those astrologers that after one look at my chart predict only doom and gloom declaring I’m f**ked! Some of our lives may provide the opposition or square that provide the spin of the wheel, the opportunity for others to grow in wisdom and strength. Yes, we always are presented with choices, no matter how difficult things may be. And there are always opportunities to grow even through the most painful challenges. Thanks for your honesty, Mara. Very much appreciate the depth of consideration you give to these matters Anne – and yes, it is so vital to see both sides – a very good read! I suppose this is the double-edged sword of Scorpio generally. When excavating the darkest depths of the Underneath, one must be prepared for the locked trunk whispering warnings of eldritch terrors as well as the valuable ore one seeks to transform for gain. I abide by the “forewarned is forearmed” line of thinking, even if I have a very colorful imagination to torment myself with. I would rather reach for my umbrella with sighed resignation than curse the skies and myself as I get caught out, drenched and unawares. 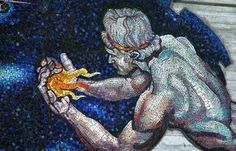 But Scorpio is one of my stelliums, so perhaps this is a case of petite hubris, a little like Prometheus for humanity. 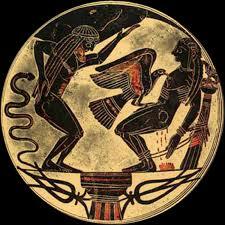 I don’t know anything about astrology but I found it interesting that the gods punished Prometheus through his liver. In the Chinese five elements the lover represents the wood element. When the liver is ‘out of balance ‘ we can become bitter, angry, spitting bile, arrogant. We can become caught in a never ending cycle of depression, addiction and despair with intermittent periods of relief. I think there’s a correlation here. Thanks for this highly relevant food for thought, Linda. I’ve realised for a long time, and I am not by any means alone in this, that our differing cultures’ symbol systems are all asking questions and seeking answers from the same underlying Ground. Thank you very much for sharing this useful information with us. what a relief to realise that I’m not the only one that feels “burned by the knowledge” – thank you. So maybe we need to get singed a little first so that we can learn ways of protecting ourselves from getting totally burnt. Yes, I follow much the same track as you do and agree – the cookbooks do tend to collude with the voices of doom, with a few notable exceptions eg Howard Sasportas’ The Gods of Change: I’m leaving the link here for astrologers/students/interested members of the public who may not yet have come across this wise and humane book on outer planet transits. Thanks for dropping by! Thanks so much, will get a copy and have a read. This is timely as I feel a personal shift in the way I wish to interpret & convey Astrology, so any books/information that inspire positive but realistic introspection & interest rather than the anxious trepidation I was at times initiated with (& I mean this with the greatest of respect to some of our most popular modern astrologers) are much appreciated. Such is the burden of horoscopic astrologers! An analogy about white-water rafters going down rapids may be appropriate. A very large rock submerged slightly will be avoided by many of the rafters simply by chance and the rafters will never know of their near encounter, but there will be an occasional, deleterious collision with that rock. Probably best if everyone were advised of the potential hidden in that part of the rapids, in my opinion. To answer your question, the client is posing an electional astrological question, so yes, I would provide the exact information you assessed for yourself, including the umbrella of protection you further interpreted from the aspects.